Writing up the Lumia 620 is a strange feeling. Unlike the regular review process here at All About Windows Phone, where we pick up the review handset and write up our thoughts before presenting them to you fully formed, many of you will have been following my adventures (parts 1, 2, 3, and 4) with the Nokia Lumia 620 at SXSW. All that's left is the final reckoning. But let's start at the beginning. 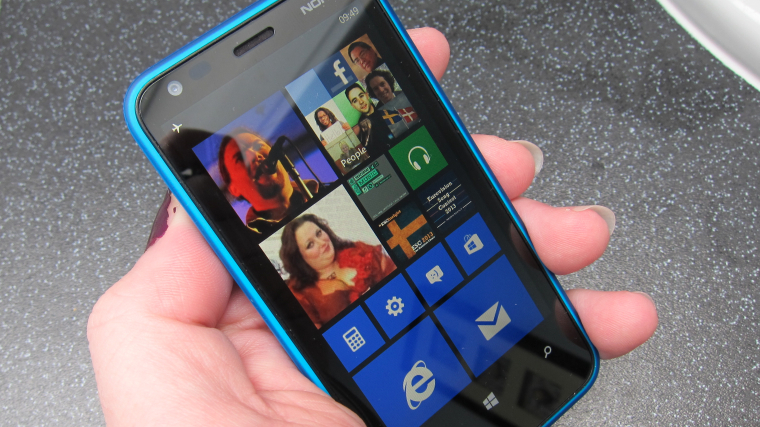 The Lumia 620 is a low to mid range Windows Phone 8 device from Nokia. 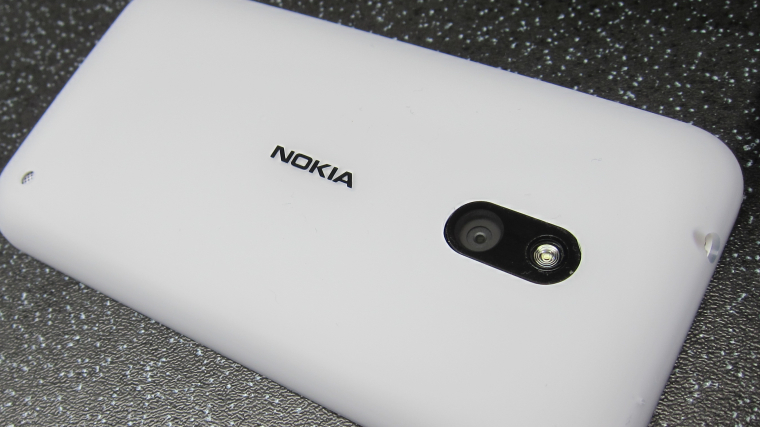 Its status as the cheapest WP8 device from Nokia did not last long, as the Lumia 520 announced at MWC took that crown. But the 620 is available now, and is doing sterling service at the cheaper end of the market. A look at the tech specs does not show anything stunning. The CPU is a 1GHz dual-core Snapdragon, the han?dset has 512 MB of RAM, and ships with 8GB of internal storage (of which around 5.7GB is available to the user out of the box after the OS takes its share). The battery capacity is 1300mAh, which feels utterly middle of the road, and the camera is a 5 megapixel unit, with an LED flash, and capable of shooting in 720p. That might have been top of the line a few years ago, but in a spec comparison on the High Street it's clear this is a low to mid range phone. But all of this misses the point. The specifications can be lower on Windows Phone than a comparable Android device because the operating system is efficient enough to allow it. That gives the Lumia 620 a strong advantage when being checked out and in initial use. The UI is fast and reactive, it handles all the built in applications well, presenting them with a similar speed to the higher end WP8 devices and with no graphical slowdown as everything spins and move around the screen. That's a testament to the OS code, and to the hardware. 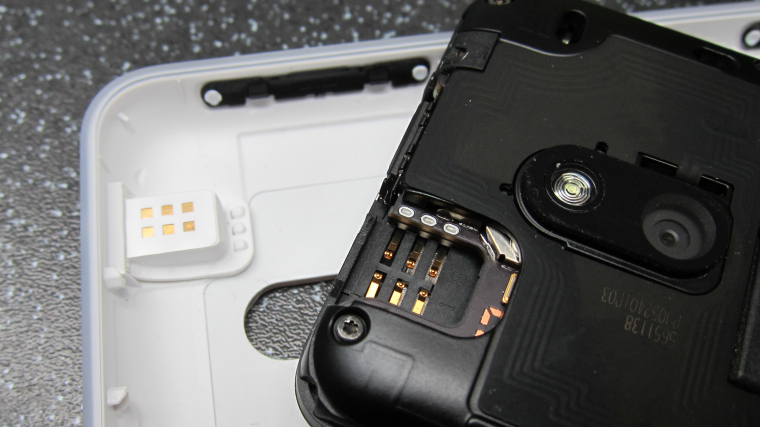 You should note that the Lumia 620 supports microSD cards for additional storage. Rated up to 64GB, you can drop all your pictures, music and videos to the card, along with pictures and videos taken by the phone. This frees up the internal drive for working area and application storage. With Windows Phone 8 still having an issue in terms of reclaiming storage space from temporary data, that 8GB of internal storage is going to fill up over a few months. Nokia have already pointed out they are working on this issue, and a fix is due, so I'm not going to mark down the handset around this issue too much, but if there's no fix by the end of Q2 then I'm going to get angry. A lot of that anger would arise because I really like the physicality of the Lumia 620. While the device is small, it feels smaller than even the 127g weight of the device would imply. Sporting a 3.8 inch 800x480 sized LCD screen, it's a shade larger than the screen on the Lumia 800, but Nokia have reduced the excess casing around the sides to make a slightly smaller phone. 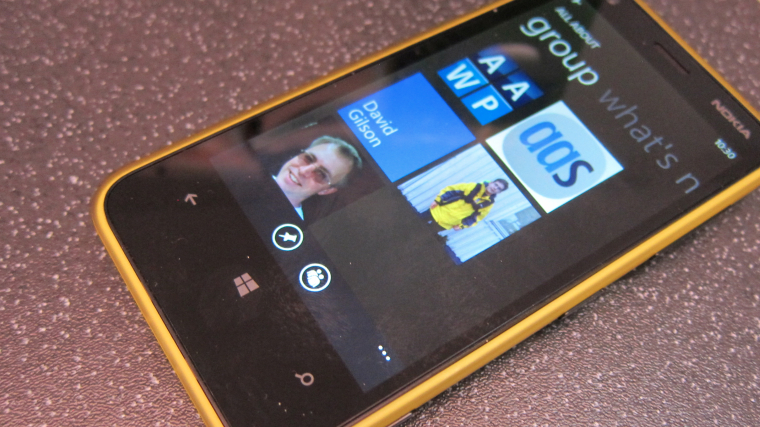 This is one of two areas where the price point of the Lumia 620 affected the experience. The other is in the camera. There's nothing actually wrong with the camera, it's just that every other area of the Lumia 620 delivers more than you would expect for a smartphone at this price point. The camera is the weakest link in the whole smartphone. With a regular Nokia lens (as opposed to Carl Zeiss), a lens cover essentially open to the elements when placed on a table, and a notable delay between hitting the camera shutter button and the picture being saved to disk, the results are workmanlike, at best. Put it in a situation with a decent amount of light and the reproduction is good, but as the light levels drop and the action increases, the camera will struggle to capture enough light to take a good image in anything but the brightest indoor setting. On the plus side, Nokia have included the High Amplitude Audio Capture technology on the Lumia 620, so the audio reproduction is second to none. The light at a music gig might not be wonderful, but the music will be captured. And when you're looking back, the audio will have a far greater impact on your perception of the video than a slight pink tinge thanks to the stage lighting at long range to a band on stage. Anyone who knows me will know that my preference is for very small form factor smartphones, coupled with high end specifications. While the Lumia 620 is slightly larger than my sweet spot (go for a ClearBlack Display 3.5 inch screen in a slightly smaller footprint and I am there), and the specs are a touch lower than I would like, of all the Windows Phone 8 devices I have tried, the Lumia 620 is the one that has made the biggest personal connection with me. Part of that is down to the shape. While Nokia's 'blown pillow' design will be familiar to those of you coming from the Lumia 800 and 900, the Lumia 620 goes for a more 'bathtub' like approach with a flat screen and forward front, with the sides all curving down quickly (but not too aggressively) to a flat rear. It fits comfortably in my hand, and everything is reachable for one-handed operation. One issue I did have was that while I was using the handset on the move (as good as doing it one-handed as possible), there were moments on reaching over the screen to one edge that the crook of my hand triggered the touch-screen. Thankfully with a universal 'back' key that's not a huge issue in terms of losing data or my place in an app, but it's a touch annoying. 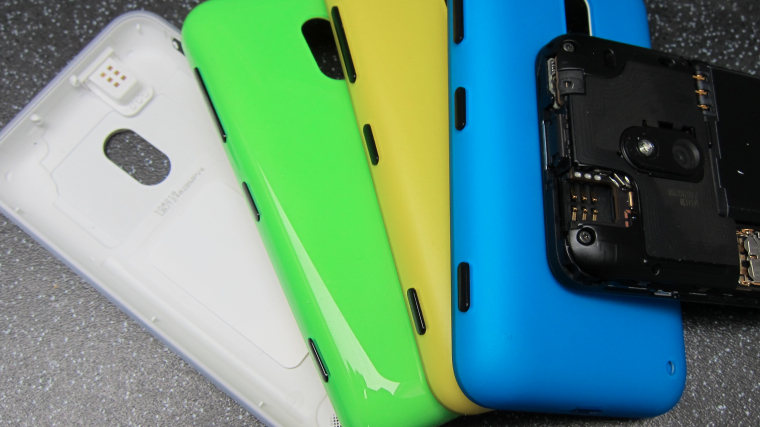 This is more than made up for by the colourful 'bathtub' exterior shell of the Lumia 620. Because this is completely removable and exchangeable for another shell. So I can start the day with a white shell suitable for use in an office environment, before popping it off and switching in a bright yellow case to go out with in the evening. It's a simple touch, and Nokia has a long history with different cases and covers for their phones, but they've pushed the boat out with the Lumia range to make it a major selling point. One thing I appreciated on the Lumia 620 is that switching out the case does not cause the handset to reboot - which really does encourage switching cases as often as possible. I do wonder how durable the cases will be after two years of use (after all, this handset is available on a twenty four month contract). The buttons on the side of the Lumia 620 are going to be pushed past the lip of the device every time a case is changed, which could weaken what is a bendy piece of plastic. Also, the headphone jack is part of the casing, and has six contacts on the rear that need to make contact with the sprung legs in the chassis. This is necessary to get the amount of curvature on the shell and still allow the standard 3.5mm jack plug to fit into a socket, but I'm worried that the sprung legs will not stand up to years of punishment. It's here that I would trust Nokia's extensive testing and reputation for build quality, but it is an area that I'm going to watch rather carefully. Out in the real world, the Lumia 620 acts like pretty much any other Windows Phone, albeit one with Nokia's extensive range of additional applications. We've touched on these countless times before at All About Windows Phone, so there's no real need to go into them again, but I want to highlight HERE Maps/Drive (built-in from moment one) and Nokia Music as being highlights of the software package which will cost you nothing extra over and above the cost of the phone. Nokia have now hit their stride with Windows Phone, just over two years after publicly announcing the switch away from Symbian. While the Lumia 920 gets all the attention in the media, it's going to be the Lumia 620 that is pushed in the stores as the best value handset out there. The Lumia 620 has enough hardware and power to cope with all the regular tasks a smartphone needs to do (albeit with the usual caveats about Windows Phone and the occasional workarounds we're all familiar with). Yet it's also not that threatening a smartphone. It's svelte size combined with the live tiles make it easy to use for those starting out on a smartphone path, and while the smartphone geeks of the world aren't going to throw away their existing handsets, I can see a lot of them picking up the Lumia 620 just to see what all the Windows Phone fuss is about, and use it as a second handset. If you want the definition of an good all-round smartphone for a smart price, then I don't think you need to look beyond the Lumia 620. It hits just above average in the hardware and software stakes, and it excels at just one thing - being great value for money.